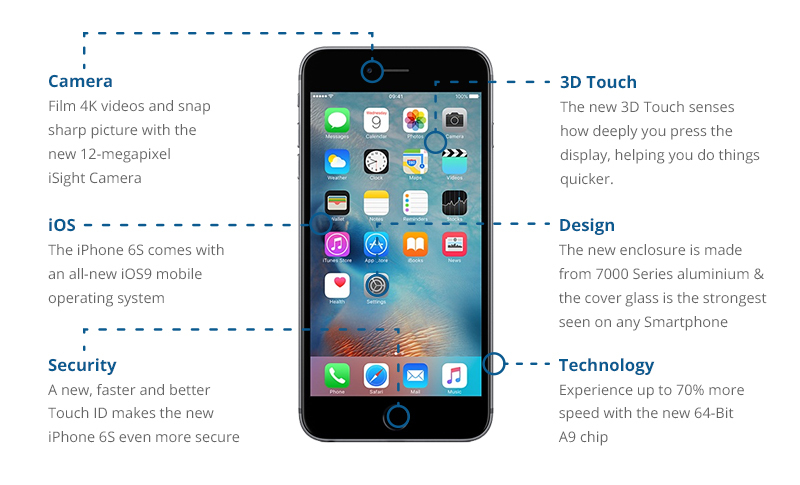 The iPhone 6S is revealed! The annual “Apple Special Event” took place in San Francisco in the early hours of Wednesday morning and, along with announcing a whole host of new Apple products and services (including a pencil)… the anticipated iPhone 6S has finally been revealed! Other new releases from the event include the new iPad Pro – twice the size (and probably twice the price) of the regular iPad. The iPad Pro has a detachable keyboard which looks coincidentally similar to the Windows Surface. There are also upgrades to the new OS for Mac and Apple Watch, Siri integrated with Apple TV and an electronic “pencil” for the iPad Pro. The entire Apple Event can be viewed in full here. Thinking about an upgrade? Lock in the price of your current phone today and make the upgrade to the new iPhone. Once you’ve locked in your price, it will be available for 28 days.